Since its premiere in 1981 Andrew Lloyd Webber's "Cats" has become an iconic musical that sits firmly among the pantheon of musical greats. Heralding the era of the "mega-musical" at the beginning of the '80s due to its epic staging and design "Cats" could potentially look and feel rather quaint in comparison to recent musicals. As it is "Cats" really has nothing to compare to it and remains a powerful theatrical production. "Cats" has had many lives with various changes along the way and this current production is based on the incarnation that appeared at the London Palladium in recent years. Based on T. S. Eliot's "Old Possum's Book of Practical Cats" the lyrics (i.e. Eliot's poems) are full of wit and pathos and Lloyd Webber's setting of them is, for the most part, quite exceptional. The musical contains some of his catchiest material and features what may be his most iconic composition, "Memory". Some of the changes made, including the updated "Rum Tum Tugger" and other reworked musical sequences, are not always for the better but the show still packs a powerful, mesmerising punch. Set around the one night of the year when cats congregate for the "Jellicle Ball" we are witness to the various cats singing and dancing about their exploits in the hope that they will be the one chosen to ascend to the "Heaviside Layer" and attain a new life (ultimately a surprisingly moving moment onstage). There really is little more than that to the musical which is, perhaps, more of an experience to enjoy than a story to follow, but "Cats" has never pretended to be anything other than what it is and makes no pretensions otherwise. John Napier's famous junkyard set is still a sight to behold despite being somewhat squeezed onto the King's Theatre stage (the dancers cope effortlessly with any spacing issues) and Napier's costumes remain equally as exciting and original whilst the lighting by Howard Eaton (original lighting by David Hersey) is dynamic and integral to the production. The sound design is en pointe and the orchestra is strong, albeit a little thin when compared to the original's orchestrations, and manages to convey most of the nuances in Lloyd Webber's score. Trevor Nunn's direction and Gillian Lynne's choreography (essential in the story telling) still hold up with sequences that continue to thrill and move the audience with Lynne's dances remaining some of the most stirring to appear onstage (Bill Deamer is credited with the "Gumby Cat" tap choreography, one of the recent amendments, which fits well with the rest of the production). The production is blessed with a cast who sing and dance confidently and with seaming ease. It is perhaps unfair to pick out any one performer but Marianne Benedict's "Grizabella" is the emotional heart of the show and her performance is an artful display of the former glamour and regality of the cat's past infused with the tragedy of her present. Benedict's powerful voice created a stirring "Memory" that prompted applause from the audience well before the song had ended. Matt Krzan's "Munkastrap" is a confident leader and the "Old Deuteronomy" of Kevin Stephen-Jones is a noble and gentle creation.Greg Castiglioni's "Gus" is a moving and tender portrayal and welcome respite amongst the frenetic action throughout. Shiv Rabheru as "Mistoffelees", Joe Henry and Emily Langham as "Mungojerrie" and "Rumpelteazer", not to mention Marquelle Ward as "Rum Tum Tugger, Lucinda Shaw's "Jennyanydots" and Lee Greenaway as "Skimbleshanks" are among the many shining lights of an energetic and kinetic company that is filled with engaging performers strong in voice and body. 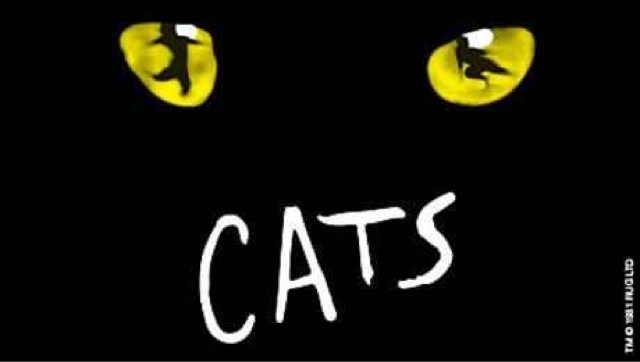 It may be a product of its time but "Cats" remains one of those awe-inspiring theatrical experiences which will truly live in the memory (pardon the pun) "now and forever" and I hope it continues to capture the imagination of audiences young and old. Cats is at the King's Theatre, Glasgow until Saturday 17th September.